This week, we revel in Schadenfreude as Hedi Slimane’s debut collection for Celine is universally panned, learn what the founder of WhatsApp has to say about the most powerful company in the world (#deletefacebook), and get to the bottom of Kanye West’s bizarre rant on the topic of the 13th Amendment. Not into travel guide books? This article in The Guardian outlines a novel way of getting to know a new city. The rules are simple: pick a stranger and don’t let them out of your sight. Here at FvF we can’t decide whether “following”—a modern day version of the 19th Century flâneur—is genius or creepy, but let’s just say that our attention is piqued. Meet Brian Acton: the tech billionaire who’s happy to put his money where his mouth is when it comes to taking a moral stand. Talking publicly for the first time since he left Facebook, the WhatsApp co-founder explains to Forbes Magazine why he was so disappointed in the direction of the company that he quit one year before his stock grants vested—losing him a cool $850 Million in the process. It’s not easy being the incoming creative director at a much-loved fashion house, but few collections have taken quite so much heat as Hedi Slimane’s debut for Celine. Launching on the same day as the Brett Kavanaugh hearing, it was widely criticised for being insensitive given the current political climate and ignoring the needs of women. Writer such as Tim Blanks called the collection “a gust of toxic masculinity” and one enterprising Instagrammer made their views clear by setting up the account @oldceline, which showcases images from when Phoebe Philo was at the helm. In what must be the definition of Schadenfreude, Fashionista have gathered together all the most scathing reviews in one convenient article. If you’re still trying to work out why Kanye West recently called for the 13th Amendment—which forbid slavery—to be abolished, this Washington Post piece is a good place to start. It traces how a “sleight of hand” in the amendment’s wording has lead to the practice of prisoners in American jails being forced to work for next-to-nothing in “contemptible” conditions. According to the article, Kanye’s rant makes more sense than first thought: slavery can’t fully end until this practice, which disproportionately affects African Americans, is put to an end. Whether you’re more of a Madonna fan or just can’t resist a bit of Brian Eno, Pitchfork has you covered. They’ve made a list of 200 of the best albums from the ’80s covering pop, ambient, rap, and every genre in between—meaning that there really is something for everyone. With hundreds of hours of music to go through, it should keep us going all winter long. 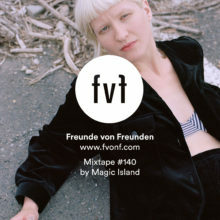 Also, be sure to check out the FvF Mixtapes for some tunes mixed by our friends and favorite artists, and subscribe to our newsletter to stay up to date with FvF stories.